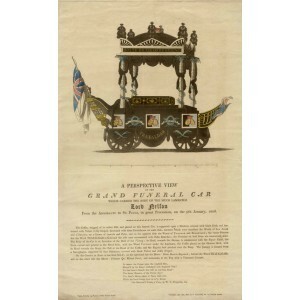 Shows the carriage on which the body of Nelson was carried on his funeral procession. 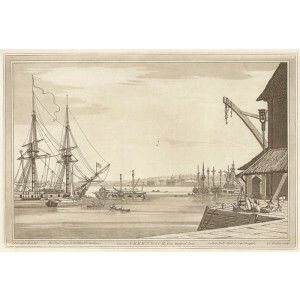 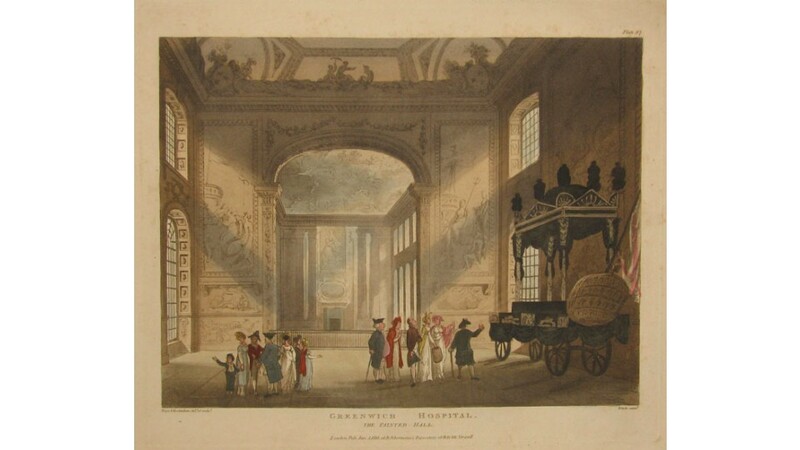 Aquatinted by Bluck, designed and etched by Thomas Rowlandson and Auguste Pugin. 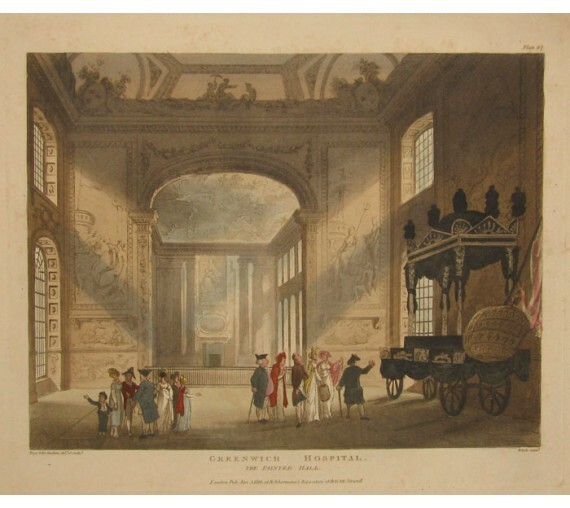 From the series 'Microcosm of London', published by Rudolf Ackermann, the great Regency publisher of fine colour prints. 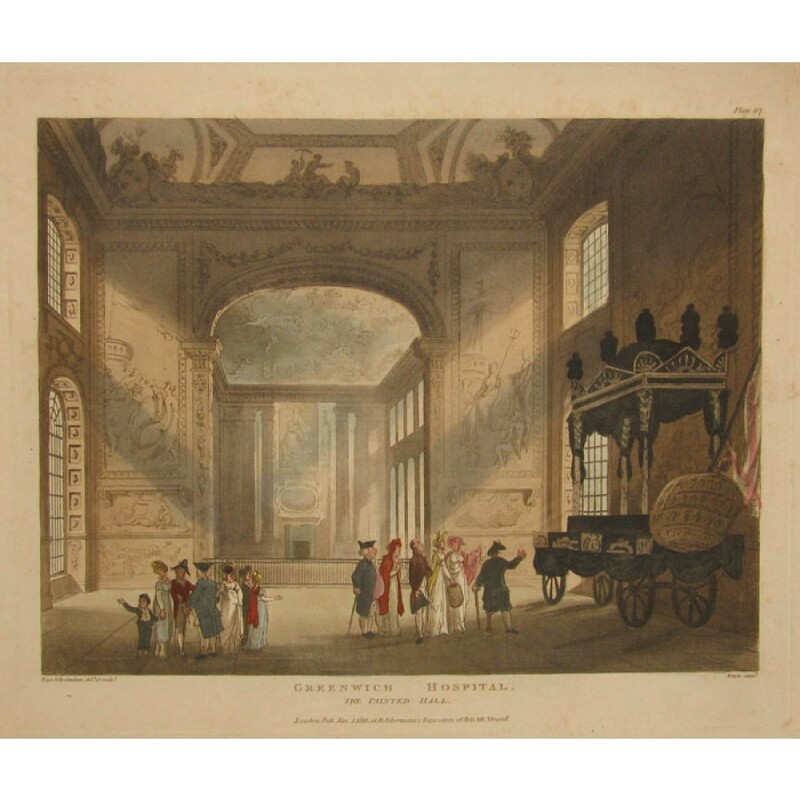 He commissioned Rowlandson (1756-1827), a watercolourist and famous caricaturist, to design the figures and Pugin (1762-1832), the architect, to draw the architectural elements.